The Texas Property Code, at Title 8, Chapter 92, Subchapter H, discusses retaliation by a landlord against a tenant. Tenants (also referred to in this article as “renters”) are entitled to notify landlords of problems with the rented space and to request repairs, to submit good-faith complaints to relevant government entities about the rented property, and to make good-faith attempts to pursue rights and remedies against a landlord. As a practical definition, “good faith” here means the renter truly believes there is a problem. The “good-faith” tenant isn’t making things up or trying to harass the landlord for other reasons. The good-faith tenant sincerely believes there is an issue which the landlord should address and, after notification, is failing to address. Presuming a renter is acting in good faith, the Texas Property Code prohibits landlords from trying to evict the renter, deprive the renter of use of the premises, decrease services, increase the rent, terminate the lease, or materially interfere with the tenant’s rights under the lease. Of course, if the tenant violates some other aspect of the agreement (e.g., destroys the landlord’s property out of frustration; stops paying rent) the landlord can take action based on those violations. A Texas apartment dweller notifies her apartment management about a rat infestation. After two weeks of no apparent response from apartment management, the renter provides apartment management with a short video, taken with her smartphone, showing the rats climbing on tenant’s second-floor balcony. Tenant still hears nothing from apartment management. Three weeks after the original complaint, tenant tells apartment management she’s tired of nothing being done and requests the apartment owner’s address. The apartment manager becomes very upset at this request and immediately calls corporate management for guidance. The corporate manager tells the apartment manager to immediately terminate the tenant’s lease and give her a 30-day termination notice. The apartment manager complies. Within an hour of the tenant asking for the owner’s address, she is handed a 30-day termination-of-lease notice. In this case, the tenant is not behind in rent. The tenant has not committed any act which would give the landlord a basis for termination of the lease. The tenant isn’t making things up to avoid paying rent or to cover up damage she inflicted on landlord’s property. Let’s say the tenant – outraged by landlord’s actions – decides to cut her losses by finding a new place immediately. Ordinarily, she wouldn’t rely on her security deposit to pay the last month’s rent, but – based on the way she’s been treated – she decides that’s just what she’ll do. Well, the landlord played dirty once so the landlord has no problem playing dirty again. Adding insult to injury, corporate management instructs the apartment manager to demand the tenant pay several thousand dollars because she’s leaving before the full term of the lease agreement! The apartment management informs tenant she is acting in bad faith by relying upon her security deposit to pay half of the following month’s rent (since 30 days from the date of the termination notice falls in the middle of the next month) and therefore the apartment is treating tenant’s departure as a breach of the lease agreement. What Do You Do If You Have Been (Constructively) Evicted? Who is right? What can the tenant do? First, we have to figure out – from a legal perspective – exactly what’s happened. Tenant. Tenant has every right to complain about the vermin infestation. 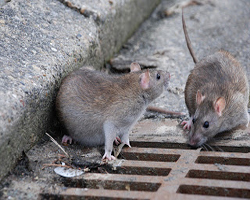 She is also permitted, under the Texas Property Code, to ask for the owner’s contact information and pursue rights and remedies regarding the vermin infestation (and damage to her personal property). Since tenant committed no violations of the lease agreement, the landlord’s 30-day termination notice looks like prohibited retaliation. If it is prohibited retaliation, Tenant has been evicted. The analysis might end here except that, in Texas, it is presumed to be bad faith for a tenant to count on the security deposit to pay the last month’s rent. But, has the tenant in fact acted in bad faith? When the landlord constructively evicted the tenant for requesting the owner’s address – as allowed by law -and the tenant was not behind in rent, the landlord has retaliated. Since the landlord has evicted tenant without just cause, it is not bad faith for the tenant to use her security deposit to pay the last month’s rent. The apartment complex is entitled to subtract from these damages the 1/2 month rent due for the last 15 days of rental period. The scenario described above is inspired by a real-life case. Unfortunately, in real life, the tenant decided to go it alone in challenging the apartment. The apartment was represented by a very competent down-town attorney, so you won’t be surprised to learn that the apartment’s attorney tried every argument possible. The apartment’s attorney even suggested that the tenant was not entitled to moving costs – under the theory that the tenant would have to move eventually anyway! Of course the apartment’s lawyer knew the facts were against the apartment. That’s why the apartment offered a small amount of money to settle the case. Sadly, the unrepresented tenant accepted the apartment’s settlement offer, thinking that might be the best outcome possible. Had the tenant been represented by counsel, there is every reason to believe tenant would have received closer to the $10,000 originally sought – rather than the pittance actually accepted. Bottom Line: If you are a renter in Texas, it may be worth your while to seek legal assistance if you experience serious problems with your landlord. You can be sure your landlord is well-represented by counsel. Know your rights and make sure you don’t become the victim of unscrupulous practices! Evicted? Ripped-off? Cheated? If you have questions about landlord-tenant issues or Texas property law matters, contact The Law Office of Robert B. Goss, P.C. today for your FREE consultation!